A class 101 arrives at Derby Road on a Felixstowe working. c1995. 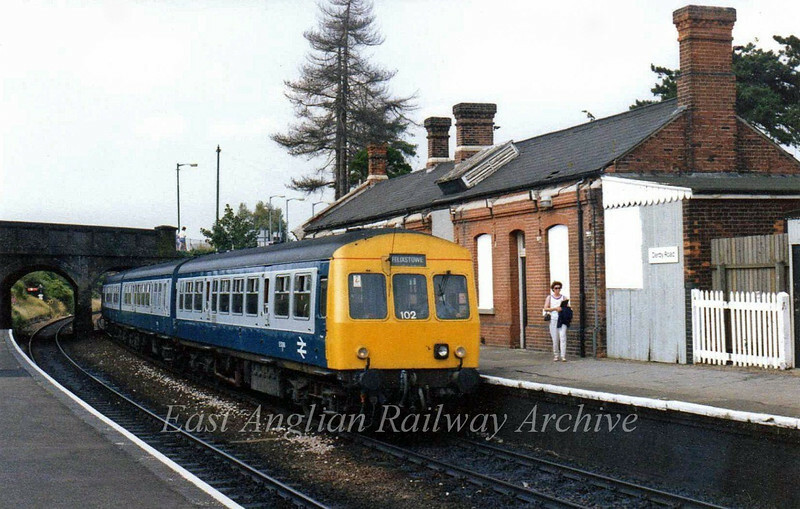 The aerial on the front reveals that this set was used on the East Suffolk line for RETB working.